A new Parisian eatery brings a melange of forms, many of them in metal, to achieve visual heft. 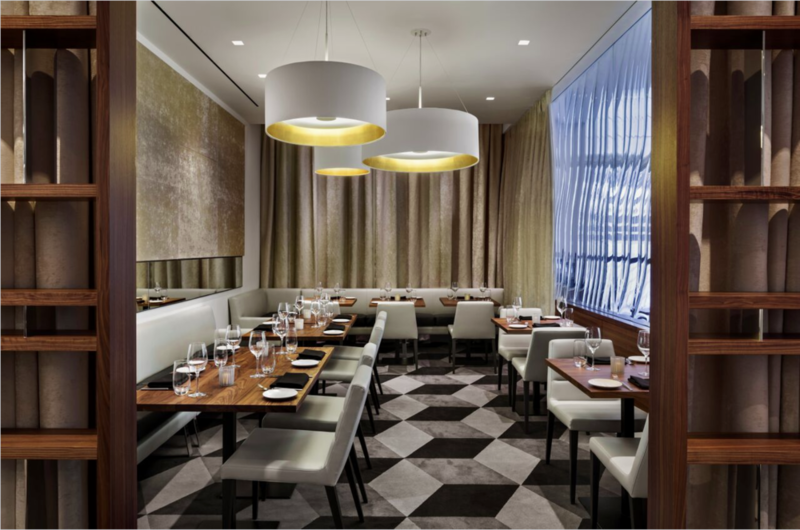 Avroko's first Chicago restaurant pays homage to Tokyo's Hotel Okura. A Hong Kong restaurant pairs urban street art with fine French cuisine. 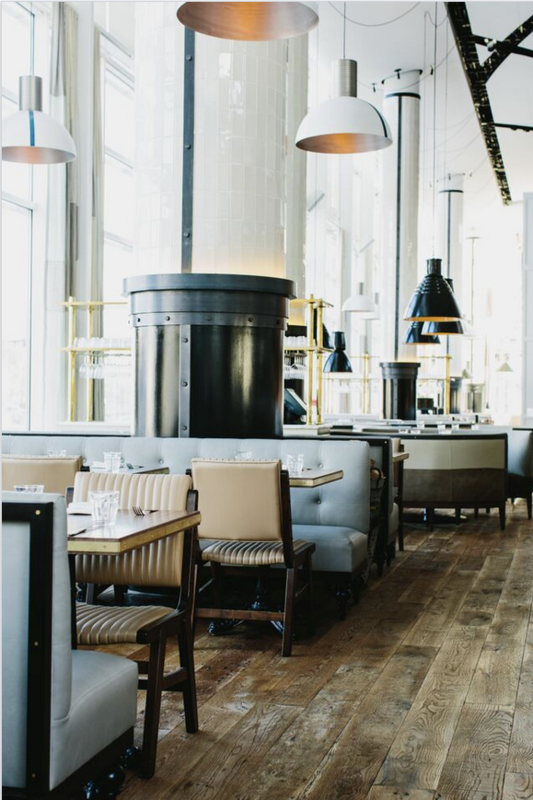 An established restaurant in the heart of London's Teaterland presents a glitzy revamp. A highly discreet, hidden restaurant in Hong Kong invites mystery to dinner. A W Hotel eatery celebrates its Swiss setting and Spanish pedigree with subtle cultural references. Chicago's Saks Fifth Avenue restaurant gives a nod to an icon of American fashion. Piet Boon restores an abandoned church, creating a stunning setting for an Antwerp eatery. A designer looks to cinema to set the scene for a new Hong Kong restaurant with a historic past. Earthy colors and old-world charm bring comfort to diners at this Italian eatery in Mexico City. 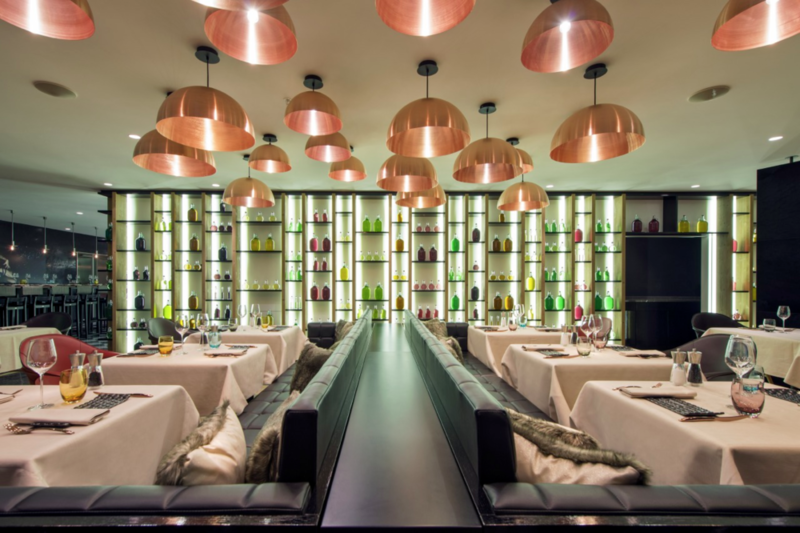 Giorgio Armani lends his warm, elegant touch to the revamped Nobu Milan. Design firm Allegory gives two guises–buttoned-up and casual–to a dining space in Geneva. A new eatery in Atlanta transports its customers to the Mediterranean. A new Rockwell Group restaurant treats the kitchen as a performance space. The Perfectionists' Café brings romance of air travel back to London's Heathrow Airport. Resisting its neighborhood’s vintage craze, Brooklyn restaurant takes design cues from the city’s green spaces. A Manhattan eatery's nostalgic maritime décor invites exploration.